It is showering cakes and cookies this month where ever I look around in the blog world. No complaints as it adds more zing to to the festive spirit. My long time wish to bake these cakes came true when I saw this in Princy’s space who is my assigned partner for this week’s Blog Hop. I so badly wanted to make her Eggless Tiramisu but may be some other time. So what do you do when you go ahead to bake Red velvet cup cakes and in the middle of the process you find that there is no red food color at hand ? I can hear a few sighs….. see a few raised eye brows… read ahead to find out for yourself. Princy had baked it into a full fledged cake but I went with cup cakes so that I can watch over and control Arun’s Portion. When it comes to cakes he demands a free hand and I refuse to give that. The cake turned out moist and yummy just as I wanted them to be. The only problem was I did not have enough time at hand and in my hurry to get it clicked and done with, before my guests arrived I pried away a few from the cases before giving it enough cooling time hence the wobbly shape. The others were just perfect the next day. I also referred here to get an understanding of how this cake worked. I do not feel comfortable clicking at food in front of guests. As many are not aware of my food blog they would think that I had gone bonkers. This is the first time I using cake flour and I must say that I loved it to bits. The cakes turned out so spongy and crumbly and it was simply a delight to sink in the teeth into that inviting soft ones…. I still do not feel confident enough to use frosting not to mention that I also do not happen to have any tools at hand to try it out. Preparation: Preheat the oven @ 180 Deg C. Grease and flour the muffin pan. Skip it if using paper liners. In a cup whisk together buttermilk and rose milk concentrate and keep it ready. Sift together the flour, baking powder, salt, and cocoa powder. I used my hand mixer to beat the butter till soft. Now add the sugar and beat till it becomes fluffy. Now add the egg and beat till everything gets mixed well. Add the flour mixture little by little to the beaten sugar and butter alternating with the readily kept colored buttermilk till everything is combined. Now is the step to move fast and act quickly. In a small cup combine the vinegar and baking soda. Let it fizz and then quickly add it to the cake batter. Give it a good mix. Immediately scoop the batter into the prepared muffin pans and bake for 20-25 min, or until a toothpick inserted in the center of the cupcakes comes out clean. Cool the cakes in their pans on a wire rack for 10 minutes and them remove from pan. I did not use any frosting on top instead served after dusting powdered sugar on top. ** How to make your own Cake Flour: Measure 1 cup of flour into a bowl. Take away 2 tbsp of flour from the bowl and return it to the bin as you won’t be needing it. Replace that 2 tbsp with corn starch / corn flour to the bowl and sieve the mixture at least 5 times for both the flours to get incorporated well with each other. *** How to make Buttermilk instantly: Add 1 tbsp of white non-fruit vinegar or lemon juice or citric acid crystals dissolved in few tbsp of water to 1 cup (240 ml) of milk. Just let this mixture stand 5 to 10 minutes. Buttermilk is ready to use. You can see that I did not use any Vanilla essence as the rose milk concentrate itself has a fragrance of its own and I decided to go with it alone. I reduced the cocoa powder from the prescribed 1 tbsp as I did not want a garish color. I also did not add the entire 1/2 cup of buttermilk fearing the batter will become runny. You need to use your judgement here, I guess depending on the thickness of the batter. The baking soda and vinegar starts to react with the batter right away so act fast and get the cupcakes into the oven as quickly as possible. Fill the batter only till half way as it raises like anything. I was prepared for it but if by mistake you end up filling more, place a sheet under the muffin pan for easy after cleaning. This is off to Blog Hop Wednesdays, Baked Goodies, Vardhini’s Sinful Delights, Sangeetha’s Bakefest-2, Pari’s Only Cakes & Cookies and to Kavi’s Jingle all the way. Do check what the Blog Hoppers have rustled up here without fail. I’m sure you will not be disappointed. cake fantastica irukku radhi. One of these i m going to turn up at your doorstep unannounced and demand for them You ll have to shoo me off. Red velvet cake looks soft and moist.. I know how it feels when you are clicking pics o a dish my neighbours think I am bonkers:). Anyway most of my clicking is in the evening after sunset. I know I should be clicking in the natural light but then I never have the time. I’ve always wanted to try out Red Velvet Cake. Is there nay way I can substitute the egg? supposed to do the updating when a change is made to the blog and something must be wrong with that. Have you got any idea why? wow super idea Radhika!they look beautiful!rose milk essence works well in cocoa based cakes!i have tried it! WOw radhika, cake looks awesome. Cake looks so soft and inviting. Fantastic u shd send some to me..
loved the detailed explanation radhika; the tips & notes are dot-on !rose water as a substitute too has my thumbs-up ! hey check out the giveaway in-my blog ! lovely color, looks awesome and yummy. Wow these look amazing. 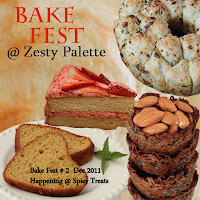 Pls do link them with let’s cook for Christmas red/ green event@ simply.food. Super moist cupcakes, thought u have added beets,brilliant idea of using rose milk concentrate, definitely delicious.. Your cupcake looks moist and soft! I know what you mean about taking photos of food in front of guests! Either I do it before they arrive or not at all! Haha! Wonderful cupcakes…love that lovely red color. I’m a big fan of red velvet cake and I absolutely loved how you made these mini versions. Wonderful for snacking! wow Radhika looks absolutely yumm…so soft and fluffy. red velvet cake looks super soft and moist…you have done it perfectly Radhika…so tempting pictures!! Thank you so much for linking it to the event.. Thanks for sending it to ‘Only’. Hey Radhika! 😀 Thanks so much for participating in Jingle All The Way. I’ve posted the Roundup here. Do have a look.